Coming from manuka, a tree that grows only in New Zealand and southeastern Australia, manuka honey is different from other honeys and it has gained a well deserved reputation. With a really strong flavor, people often described it as: earthy, oily, herbaceous, rich and complex, heather, aromatic, mineral and slightly bitter. The honey it is made from our honey bees Apis Mellifera, from two plants: Leptospermum scoparium and/or Leptospermum polygalifolium. They grow uncultivated throughout New Zealand and southeastern Australia. Is there a difference between manuka and mānuka? No. The macron above “a” in mānuka is used to assist in pronunciation. Food businesses can use “manuka” or “mānuka” on food labels, referring to the same type of honey. Berringa, the super manuka honey, is the name of the honey which is made only from Leptospermum polygalifolium. It’s like a cousin of Leptospermum scoparium. Kanuka Honey, comes also from Australia, but shouldn’t be confused with manuka honey. Kanuka honey is made from a different tree, Kunzea ericoides, a cousin of Leptospermum, looking a lot like it. Some people say this type of honey is more valuable than manuka. How is manuka honey different than other honeys? All honeys have an antibacterial activity, but manuka honey has a non-peroxide activity which comes from the specific flower, and is quite different from the enzyme / peroxide activity found in the other honeys. The non-peroxide antibiotic activity is due to methylglyoxal (MGO) and bee defensin. Most honeys contain very low levels of MGO, but manuka honey contains very high levels. Thus the antibacterial activity is doubled. Yet, this component is not the only responsible for the honey’s antibiotic activity. In researches, after neutralization of GMO, manuka honey retained bactericidal activity due to unknown factors. Thus, MGO cannot be directly linked and stated as the main content to the antimicrobial and antibacterial activities in manuka honey. Though it is considered a superfood, or a wonderfood, please read the labels carefully when buying, because not all manuka honeys contain this unique non-peroxide activity. A dark colour, greater than 62 mm pfund. Conductivity range of 347-867 μS/cm. A typical flavour specific to manuka, mineral, slightly bitter. A typical aroma of damp earth, heather and aromatic. It has high amounts of dihydroxyacetone (DHA) and methylglyoxal (MG). They are to be found in other honeys, too, but in such smaller quantities that can be almost neglected. Other compounds: methylsyringate, leptosin, glyoxal, 3-deoxyglucosulose. Phenolic acids: phenylacetic acid, phenyllacticacid, 4-hydroxybenzoic acid, kojic acid, 2-methoxybenzoic acid, syringic acid, and 4-methoxyphenyllactic acid. 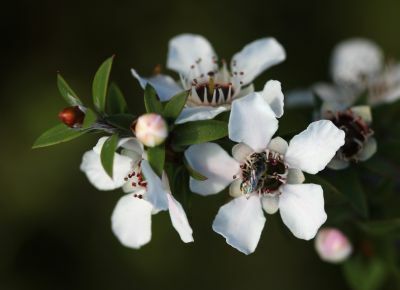 Specific compounds present only in Leptospermum Scoparium, the floral source of New Zealand manuka honey: 3-Phenyllactic acid, 2’-Methoxyacetophenone, 2-Methoxybenzoic acid, 4-Hydroxyphenyllactic acid. The science definition also includes a DNA marker. With the highest number of antioxidants and antibacterial properties, this honey is even considered to be the most powerful natural antibiotic, with a broad spectrum. -applied topically, assists the natural healing of skin ulcers, wounds, burns, boils, cracked skin. Recently the cytotoxic effects of manuka honey on colon cancer. have been proved. The studies and analyses still continue. 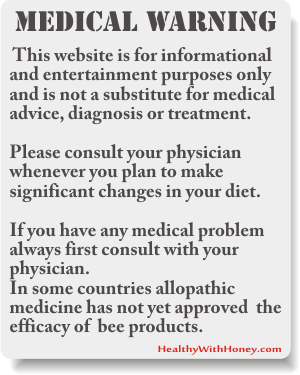 But I am not sure you will find a medical doctor telling you this honey is better than antibiotics. 🙂 Nevertheless tradition and alternative therapies tell us different. Like in many other cases. 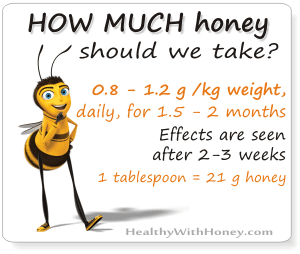 Yet, all researchers agreed that honeys, and particularly manuka honey, are natural food and medicine. Our science is on its way to decipher it and accept it in the allopathic treatment. Is manuka honey bad for our teeth and gums? We are all warned that sugars cause dental cavities because they feed bad bacteria. But not Manuka honey. In one study, 30 people chewed or sucked on a “honey leather” (a flat candy made from dried honey) for 10 minutes, three times a day after meals for three weeks. The results showed that at the end of the study these people had less plaque and fewer bleeding sites, than when they began. Conclusion? If a candy sweetened only with Manuka honey comes on the market, it’s safe for your gums and won’t contribute to caries. · Read about how good is propolis for our oral health. UMF stands for Unique Manuka Factor, antibacterial property derived from the nectar of Leptospermum plants. UMF is a rating which adorns jars of medical-grade honey. Thus, manuka honey contains two antibacterial activities which work synergistically – enhancing their effects. One is common to all honeys, it’s produced by an enzyme which is added to the nectar by the honeybee and it’s known as hydrogen peroxide antibacterial activity, and another one, a non-peroxide antibacterial activity. On a jar of manuka honey, the rank UMF is followed by numbers starting from 10 to 20. This number is a standard way of describing the bacteria-killing power, the highest UMF rating indicating the strongest antibacterial strength. Another important difference from the other honeys is that UMF honeys are particularly stable and its antibacterial activity is not destroyed by heat and light. Why is UMF present in only some Manuka Honey? The researchers don’t know yet. It could be from a subspecies of Leptospermum flowers or due to the type of the soil or the weather condition. All we know is that bees gather Manuka honey from the nectar of the flowers of the Manuka bush (Leptospermum scoparium), and the tea tree (Leptospermum polygalifolium). Both trees grow wild on undeveloped, unspoilt land. But some areas of Manuka and tea tree don’t produce honey with UMF property every year, and when they do, the concentrations can vary from batch to batch and year to year. That is why before releasing it to commerce, every batch of manuka honey is tested, to see if it contains the special UMF property. 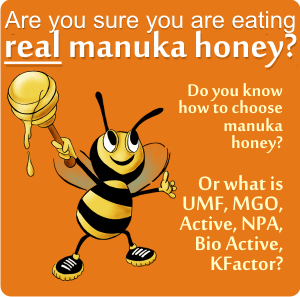 Read the labels carefully, not all manuka honey has UMF. Although it is such an incredibly good antibiotic, and so efficient in all skin wounds, burns, etc, persons with diabetes should not eat manuka honey, because of the GMO factor. GMO stands for methylglyoxal, a highly toxic substance. The research haven’t yet concluded if this substances in combination with an unknown component found in honey, is still toxic to the human cells, after ingestion. We should be very cautious with this, because the quantity of MGO, which is very high (over 1000ppm) increases in time. Read more about the laboratory tests done by now, together with the available clinical trials, is the post: Is manuka honey safe to eat. Table Grade: 100 – 400 MGO (5 – 15 UMF) – this is for eating! Antibacterial Grade: 400 – 850 MGO (15 – 20 UMF) – this is for skin therapy! Superior Antibacterial Grade: 850 MGO and above (25 UMF and above) – this is for very bad wounds. Strawberry-Tree Honey Induces Growth Inhibition of Human Colon Cancer Cells and Increases ROS Generation: A Comparison with Manuka Honey. 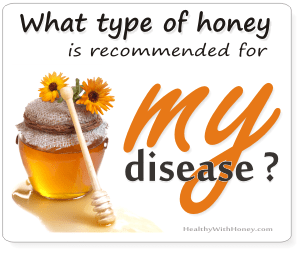 what is the best honey to help fight cancer? There is little research and study for this. Big Pharma would simply laugh at such an idea. So far only some honeys have been studied for this. The best seems to be Gelam Honey (aka maleleuca aka cajeput) and combinations of honey with something else, like nigella sativa or ginger. Other good honeys: tualang honey, neem honey and generally dark honeys, as they have more antioxidants. But any raw honey is good for cancer prevention. 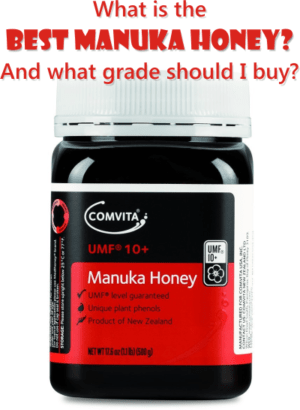 do you have Raw active 15+ mgo 250 manuka honey and how much is it for 500 gr? I don’t sell manuka honey, I buy it like everybody else. 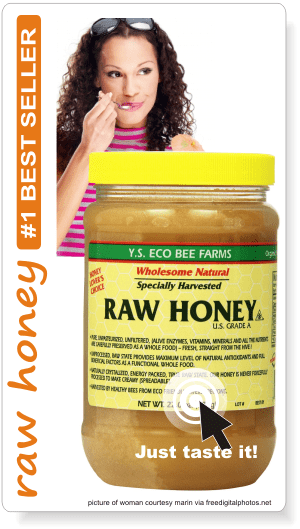 My recommendation is here: What is the best manuka honey? From what brand?. If you don’t like this brand, you can try any producer, of course, but due to the big amounts of frauds, I recommend you to try a UMF certified honey, and you can find a list of them here.